When last we saw Aidan Devane on All My Children, he had been sent to jail for kidnapping charges after holding Kendall against her will. The whole obsessive love for Kendall gone awry had fans going – huh??? Many fans complained that the writers made Aidan do things that were totally out of character…He was a good guy for most of his 8-year run on AMC…that is until the show was moved from New York City to L.A. last January and Aidan was written off the show the month before – much to his fans chagrin!! I caught up with Aidan’s portrayer – the incredibly gracious Aiden Turner – Sunday at opening day of International Polo Club Palm Beach in Wellington, FL. Turner is known to frequent the Palm Beach area now and again as his friend, Cedric DuPont, owns an antiques store by the same name in West Palm Beach. Aiden, who now lives in L.A., flew in to town for a New Year’s Eve party. 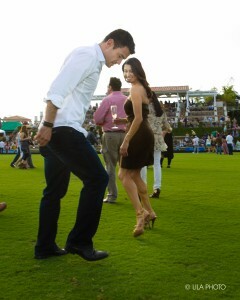 Another friend of his, Shamin Abas, handles the public relations for the International Polo Club Palm Beach. Aiden stomping divots at halftime. It was Aiden’s second time at polo. With the scene set….It was an absolutely picture perfect South Florida day…Let the interview begin. First and foremost, Aiden wants his fans to know how much he appreciates them and their support. 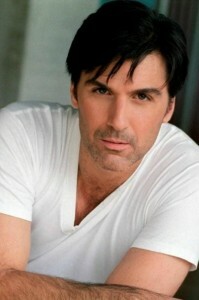 Regarding the twist in his final storyline – when Aidan first rescued Kendall from the hospital in order to help her avoid a murder charge and then turned it into a kidnapping, Aiden agreed with the fans. On the up side, being off contract allows Aiden to pursue other opportunities. Which is where he would like to go next. 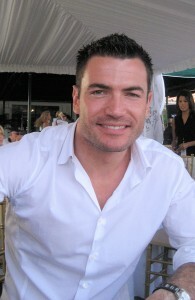 Aiden is one of three finalists to replace Andy Whitfield in the lead role of “Spartacus,” the Starz television series. Whitfield withdrew from role in Season two, when his non-Hodgkin Lymphoma returned. Aiden and two other finalists for the role were flown to New Zealand for a screen test with the cast. He’s in a kind of limbo, because there has been no decision made. Aiden said they may not recast the role at all and scrub shooting the next season. Aiden also shot a Mercedes commercial, where he plays a James Bond-type of character. That commercial is coming out in March…so look for it. As far as AMC goes, he misses going to the set each day as well as the comaraderie and support among the cast and crew. Is there a chance Aidan Devane will return to Pine Valley? On competing on Dancing with the Stars, Aiden had nothing but praise for his professional dance partner, Edyta Sliwinska.